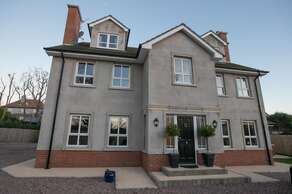 Glenbrook Lodge is ideally located to explore the varied attractions that the North Down and Belfast area has to offer. With ease of access to train, bus and road services, 30 minutes from Belfast International Airport and 10 minutes from George Best City Airport it provides a strategic base for travellers wishing to maximise their stay. There is so much to see and do during your stay at Glenbrook Lodge. These are a few of the abundant attractions that are available for all ages. Bird watching, rambling, golf, cycling, sailing can be added to the mix ensuring that you will be able to fill your time with us with a schedule as varied as you want to make it. Locations, locations, locations! Now you too can walk north of The Wall, breathe the same air as the Night’s Watch, stroll in the footsteps of Robb Stark’s soldiers, and pass through the gateway to Vaes Dothrak. This Game of Thrones map is a voyage of discovery that lets you experience the fantasy world of author George R.R. Martin for yourself. Plotting a path through the scenic splendour of the Seven Kingdoms, it takes you to where so many of the pivotal scenes were shot. The sound studio where the editing was compiled is a 10minute drive. Three of the iconic locations of the first series are within 5minutes drive. 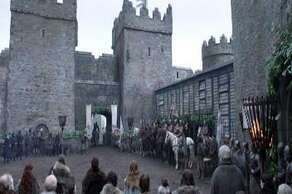 Within an hour’s drive are the filming locations of Winterfell, Riverrun, Robb Stark’s Camp and The Haunted Forest. Titanic Belfast is the world's largest Titanic visitor experience, exploring the Titanic story in a fresh and insightful way. Make your way through the 9 interactive galleries of the Titanic Experience, explore the symbolism of our iconic building with The Discovery Tour, dine in Bistro 401 or browse for an exclusive gift in the Titanic Store. Walk the decks of the last remaining White Star vessel - SS Nomadic or immerse yourself in the historic Slipways as you uncover the true legend of Titanic, in the city where it all began. Just a 10minute drive from Glenbrook Lodge. Step back in time in and uncover a way of life from 100 years ago. Discover cottages, farms, schools and shops as you wander through the beautiful parkland of the Folk Museum chatting to costumed visitor guides demonstrating traditional crafts. 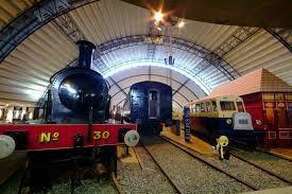 Climb on and off majestic steam locomotives or experience the sensation of flight in the Transport Museum bursting with horse drawn carriages, electric trams, motorbikes, fire-engines and vintage cars. 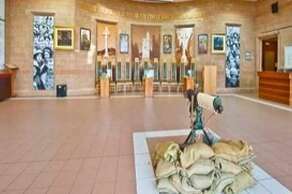 The Somme Museum opened in 1994 as an educational facility and tourist attraction. It examines Ireland's role in the Great War with special reference to local cross-community involvement in the three volunteer Divisions raised in Ireland:the 10th and 16th (Irish) Divisions, and the 36th (Ulster) Division. Since 2000 the Museum's remit has expanded into World War Two and other modern international conflicts. The Museum has increasingly focused upon the community relations potential of this shared history as a vehicle to further cross-community and cross-border contact, mutual understanding and reconciliation. 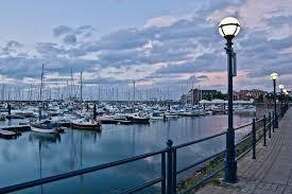 Visitors will find restaurants, bars, shops, supermarkets, banks, post offices, leisure centre and cinemas within walking distance of the marina, together with golf courses and tennis courts. Helen’s Tower was designed in 1848 by William Burn in the Scottish style and construction was completed in October 1861. It was part of an ambitious landscape project by Lord Dufferin covering the five miles between it and the coast at Helen’s Bay. The tower was named in honour of his mother Helen, who was a granddaughter of Richard Brinsley Sheridan, the great Irish playwright, orator and politician. It was built as an idyllic retreat and poems were written in its honour by Tennyson, Kipling, Argyll and other luminaries of the nineteenth century literary world. However, the tower took on an unforeseen poignancy after the battle of the Somme in 1916. The land around the tower had been used as a training camp by the 36th (Ulster) Division prior to their embarkation from Belfast for France and, for those soldiers, Helen’s Tower would have been a lasting image as they sailed out of Belfast Lough. For this reason, in 1921, funds were raised by the families of the fallen and an exact replica, the Ulster Tower, was built on the battlefield at Thiepval in France. Bangor Aurora Aquatic and Leisure Complex is a leisure facility at Valentine's Playing Fields. The centre features three swimming pools - including Northern Ireland's first FINA standard 50 metre swimming pool - leisure waters - flumes, waves, inflatable fun and Northern Ireland’s only ‘Sidewinder’, the best aquatic ride for miles around! 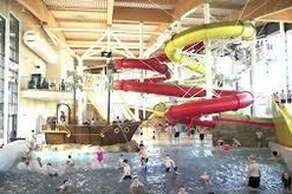 - and extensive gym facilities, offering a great family fun day out. 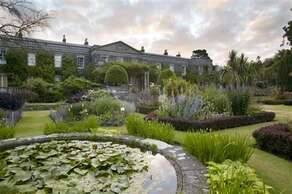 Voted as one of the top ten gardens in the world, Mount Stewart reflects a rich tapestry of design and planting artistry bearing the hallmark of its creator. Edith, Lady Londonderry’s passion for bold planting schemes coupled with the mild climate of Strangford Lough allows rare and tender plants from across the globe to thrive in this celebrated garden. 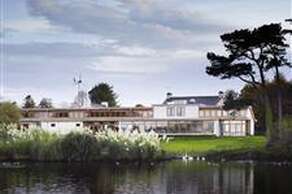 The Londonderry’s family home reopened in April 2015 following a three year £7 million restoration programme. Come and see how this transformation has changed the house including new rooms on show, the opportunity to see nationally and internationally significant family portraits, stunning silver collections and other family treasures. 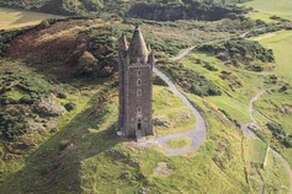 Scrabo Country Park is centred at the top of Scrabo Hill near Newtownards and boasts incredible views over Strangford Lough and the surrounding countryside. There are plenty of paths through the fine beech woodlands of Killynether Wood and around the disused quarries allowing visitors many opportunities to enjoy the quiet and peaceful countryside. 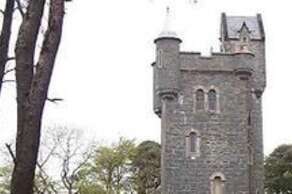 Universal Pictures filmed several scenes of the new Dracula Untold film at Scrabo Country Park &Killynether Wood. This was one of many of the locations used for filming across Northern Ireland. The Mourne Mountains are the highest and most dramatic mountain range in Northern Ireland, its summits crowned by granite tors. The mountains themselves are criss-crossed by an unrivalled network of paths and tracks, providing enthusiastic walkers with incredible opportunities for exploration. The Mournes are divided into 2 very distinctive areas –the Eastern or ‘High’Mournes and the Western or ‘Low’Mournes. 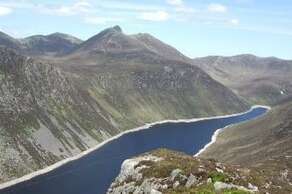 Any newcomer to the Mournes will be simply amazed at the variety of landscapes that can be encountered within such a confined geographical area. Castleward is a unique 18th-century mansion, famed for its mixture of architectural styles. Gothic and classical collide at Castle Ward, an eccentric 18th-century mansion resting on a rolling hillside and looking out over the tranquil waters of Strangford Lough in County Down. 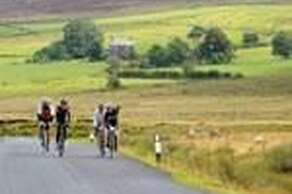 Walk or cycle along the Lough trail or through the sheltered woodlands and spot butterflies, rabbits, ducks and swans. 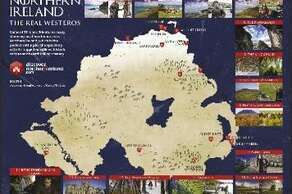 Step into a fantasy world of castles and dragons as you explore the Georgian farmyard and the Lough shore, film locations for the smash hit television series Game of Thrones. Stroll through the sunken garden and see vivid reds, yellows, greens and pinks from flowers and subtropical plants in this four tier Victorian garden. Watch resident crafters create hand-made pottery and jewellery before your eyes, while children draw and drive toy tractors in the barn. The exhibition explores the legacy of Patrick, ancient and modern, and recalls the saint’s own story –in his own words. A series of interactive displays allow visitors to explore how Patrick's legacy developed in early Christian times and reveals the fabulous artwork and metalwork which was produced during this Golden Age. The exhibition also examines the major impact of Irish missionaries in Europe between the fifth and ninth centuries, a legacy which remains to this day. Set on the shores of the stunning Strangford Lough where almost the entire world’s population of Brent Geese resides during the winter months. Three times award winning Castle Espie is a tranquil and friendly centre for all the family. Hides and nature walks allow you to get close to the wild birds and collection of endangered birds from around the world. The Visitor Centre boasts the Loughshore Café, selling delicious home baked treats, and a well stocked gift shop with a selection of gifts, books and bird themed items. A picnic area, an indoor soft play area and Wildwood –The Natural Outdoor Woodland play area are also available. Recent additions include a free to visit Sensory Garden and an arctic themed Brent Play Barn soft play room. The Odyssey Complex, which consists of the Odyssey Pavilion, SSE Arena Belfast and W5 is a large sports and entertainment centre situated in Titanic Quarter, Belfast, Northern Ireland, a part of the Belfast Harbour Estate The Ulster Museum, who wished to develop a Science Centre teamed up with Peter Curistan who wished to develop an Imax, which then led the development of the Arena. The name Odyssey, was to symbolise the 'journey of discovery' that would be the science centre and Michael Montgomery, a young 14year old at the time came up with the name. 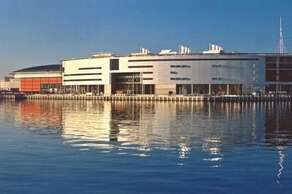 The complex adopted the name, and the Science Centre became W5. 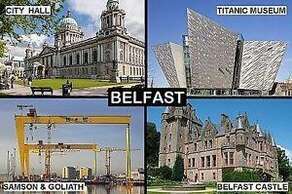 With a population of almost 300,000 in the city proper, Belfast has grown into a cosmopolitan destination and become a popular global tourists’location. 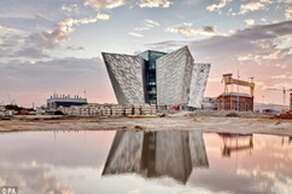 With optimism and life pulsing through the city, Belfast makes for an energising getaway. It's never been easier to tour the city, thanks to a number of intriguing bus, taxi, boat and pedestrian options. Don't miss the Ulster Folk Museum or the Belfast Cathedral, and make sure to experience some of the award-winning restaurants, bars, clubs, galleries and theatres. 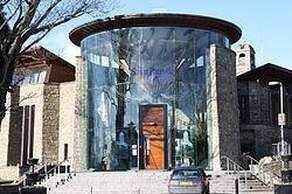 During those 150 years the Gaol has housed murderers, suffragettes, loyalist and republican prisoners. It has witnessed births, deaths and marriages and has been the home to executions, escapes, hunger-strikes and riots. On a 70min (approx.) 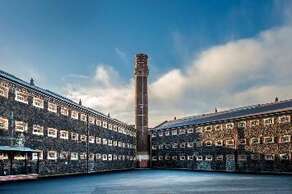 guided tour you will be taken through the years and experience what life was like for those imprisoned in ‘The Crum’. Follow in the footsteps of over 25,000 prisoners and make the journey through the tunnel that connects the Gaol to the Courthouse. Explore C-Wing and see for yourself what prison life was like through the ages as well as the dark secret that lies within its walls. Pay a fleeting visit to the Condemned man’s cell where seventeen men spent their last days before being executed. You will also visit the gravesite within the Gaol where the remains of fifteen of the executed still remain today. Crumlin Road Gaol is open 7 days a week all year round. (Christmas Day, Boxing Day and New Years Day excluded.) The first tour commences at 10am and the last tour is at approximately 4.30pm. Please note that these hours may be extended if specialist tours are added during the evening or night.